After the challenge ended, a survey was conducted and the results were compelling. Those reporting weight loss lost an average of 4.2 pounds in 30 days from the water challenge. For 30 days drink 24 oz of room temperature, purified water upon rising. Wait 30 minutes before consuming any food or supplements. Do not add anything to the water. During the day consume water regularly, about 2 quarts or half your body weight in ounces of water. For 150 pound person, drink the initial 24 oz and 1.5 quarts more during the day. For 200 pound person, drink the initial 24 oz and 2 quarts more during the day. Follow the recommendations for salt described below. Try not to drink during meals to improve digestion. Water during meals dilutes stomach acid needed to break down food. The key to remembering to drink 24 oz of water upon arising is to bring the water to your bedside table at bedtime. Find glass bottles that will contain 24 oz (or two 12oz bottles). Drink the water before you do anything else that can distract you from your goal. Drink 24 oz within a few minutes. For the elderly, this amount may need to be reduced to a more comfortable amount. Water that you filter at home is the best, most affordable water to drink. 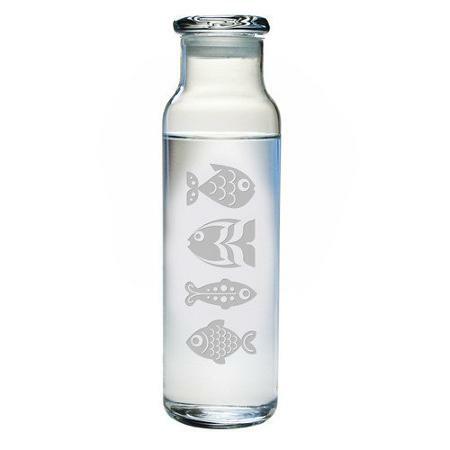 Purified water will require more than just a carbon filter that improves taste. Try to find a system that removes all toxins and impurities. I like AquaSana, and there are a variety of affordable options. Want additional weight loss, metabolism, satiety benefits? It is important to replace electrolytes as your water consumption is increasing with this challenge. Electrolytes can be replaced by adding 1/8 tsp pinch of mineral salt on the tip tongue followed by drinking one of your glasses of water, three times a day. Avoid pure white refined sea salt and choose a high quality mineral salt that retains minerals (the salt with have flecks of color like pink and brown when the minerals are present). You will be taking about 1/8 tsp of mineral salt for every quart of water or as much as 1/2 t a day. This salt recommendation is for people who are drinking water throughout the day, approximately 3 – 4 quarts per day. 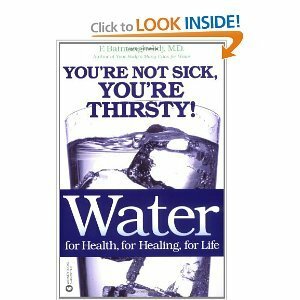 F. Batmanghelidj, MD, author of “Water for Health, for Healing, for Life -You’re Not Sick, You’re Thirsty! recommends putting a tiny pinch of salt directly on the tongue followed by one of your glasses of water. Salt is not bad for you when you use UNREFINED salt the minerals are still present that benefit health and actually lower blood pressure. 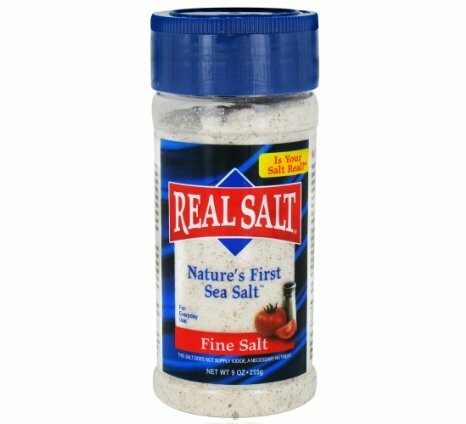 If your “sea salt” is white, it has been refined and is not good for you. 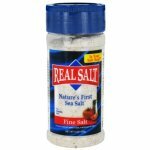 Get Redmond’s Real Salt, it has more than 60 trace minerals and the taste is so flavorful that you will be glad to have made the switch. salt has so many benefits! A large majority of Americans are dehydrated. 20% of Americans drink no water at all and 42% drink 2 cups or less per day. Water is vital for health and essential to life. We cannot live more than a few days without water. Yes, we to get some water in the fresh food we eat, liquids we drink and from the body’s metabolism, but it is usually not enough to support optimal health. Water plays many important roles in the body from transporting nutrients through the body to the cells to moving waste products out of the body. Water regulates body temperature and lubricates our joints. Try this 30 day Water Challenge and you will see an improvement in many aspects of health.